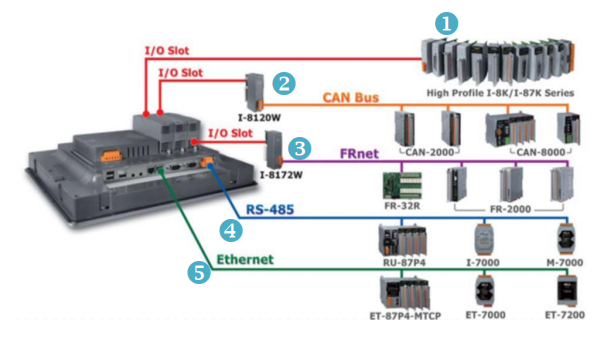 The iPPC are WES7 based iPPC combines computing, I/O, and operator interface into a single unit; making it the perfect solution for HMI integration, data acquisition and control in an individual PAC. The WES7 series is equipped with an Intel Atom E3827/E3845 CPU, TFT LCD and a variety of connectives such as: dual Gigabit Ethernet, USB port, RS-232 and RS-485 interface.Its operating system has pre-installed, built-in mSATA SSD, and its storage can be expanded from a Compact Flash slot. 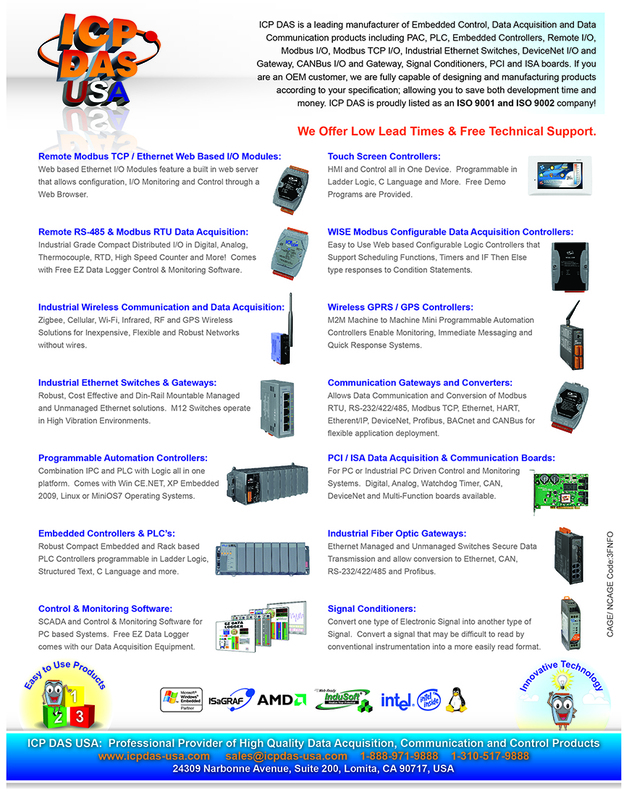 I/O expansion is available to use our Ethernet I/O modules and RS-485 I/O modules. The WES7 series is designed for panel mount installation, the front panel is NEMA 4/IP65 rated and can withstand sprayed water, humidity and extreme dust. Designed to operate over a wide -20°C to 60°C ambient temperature range, the fan less design offers the ultimate in reliability with no moving parts. Since WES7 has the same Win32 API as Windows 7, most popular applications on desktop can run on WES7 based iPPC.